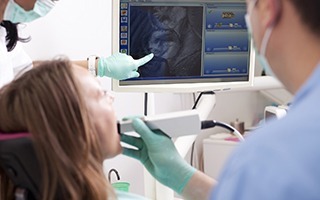 How Can Advanced Technology Improve My Dental Health? 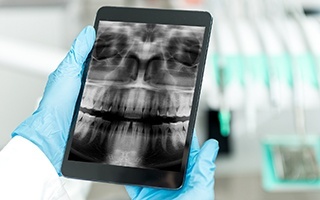 Dentistry, much like everything else in the world now, is largely influenced by technology. With the latest tools, the team at Harbor East Dental can provide an even higher level of care in less time while protecting our patients from discomfort. Everything from X-rays to impressions can now be done digitally, creating a much more comfortable experience that also leads to better, more beautiful results. At our practice, we only use the newest state-of-the-art technology because it enables us to deliver the quality of care our patients deserve. With our intraoral camera, you’ll finally get a chance to see your smile from your dentist’s perspective! This small, pen-sized device is tipped with a high-resolution camera that can create detailed images of your teeth and gums that can be quickly displayed on a chairside monitor. These images will make it easier for our team to spot subtle dental problems, and it will give you a much better idea of the state of your oral health, enabling you to make well-informed treatment decisions. The radiation emitted by a traditional dental X-ray machine is only a fraction of what a person is exposed to when they fly on a plane or just live in the US for a year, which is to say, minimal and not harmful. However, we still choose to only use digital x-rays that emit even less radiation and can create images much faster. In the end, this enables us to catch hidden problems faster while giving our patients peace of mind. 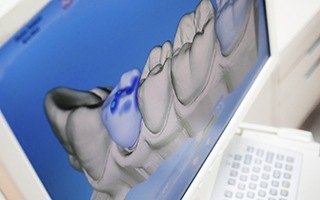 What Are the Advantages of a Digital Impression System? With our iTero Digital Impression System, we no longer need messy dental putty to create an impression. 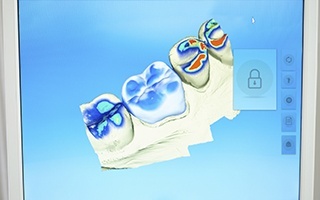 All a patient has to do is place their teeth on a small mouthpiece, and within minutes, the scanner will create a fully 3D image of the teeth. This process is not only much more comfortable than the traditional one, but it also creates a more accurate model, increasing the comfort and quality of any treatment it is used for. How Can a Soft Tissue Laser Reduce Pain and Healing Time? 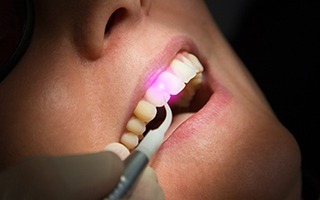 A soft tissue laser can be used to perform a wide variety of dental procedures quickly and efficiently, particularly sensitive gum recontouring treatments. It uses a highly-concentrated beam of light to eliminate excess gum tissue that can lead to a “gummy” smile. The light is so precise that it will leave all the surrounding tissue alone, plus it cauterizes nerve endings as it works. In the end, this not only makes the procedure virtually painless in the treatment chair, but it also helps cut down on recovery time as well.